Sprint Legend Usain Bolt Hits First Goals in Football Bid - Integration Through Media ....! 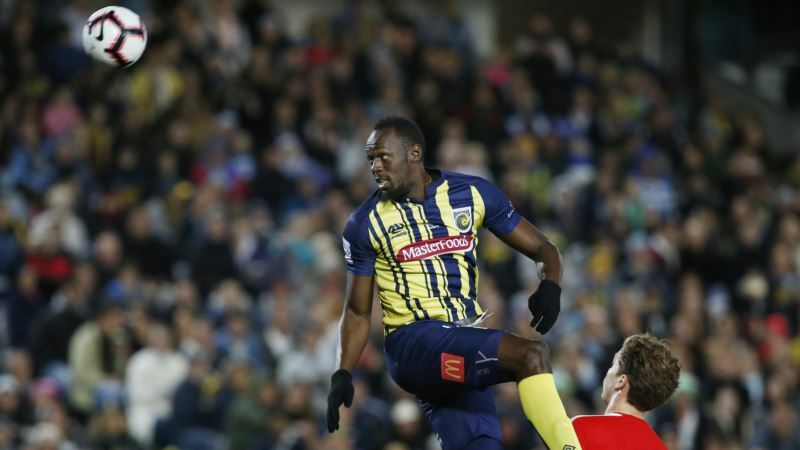 (VOA): Sprint legend Usain Bolt made his case for becoming a professional footballer Friday when he scored his first goals after starting up front in a pre-season game for Australia's Central Coast Mariners. Bolt, 32, finished with his left foot after some slack marking on 55 minutes, celebrating with his trademark 'Lightning Bolt' pose in front of more than 5,000 fans — a rare turnout for a pre-season game. “I'm just happy that I got a chance and I'm proud of myself,” Bolt told host broadcaster Fox Sports after the game. “I'm keen, that's why I'm here to play my best and to try and get into the team,” he added. “They've seen me in training, they've seen what I'm capable of and so, they need to analyze and say, 'Is he good enough for this club?' and they will tell me that,” Bolt told reporters after the game. “You've got to be so happy for the guy, haven't you?” Mulvey told reporters. The Mariners have been giving him one-on-one sessions on top of the squad's training in a bid to turn him into A-League material for when the season starts a week from now.